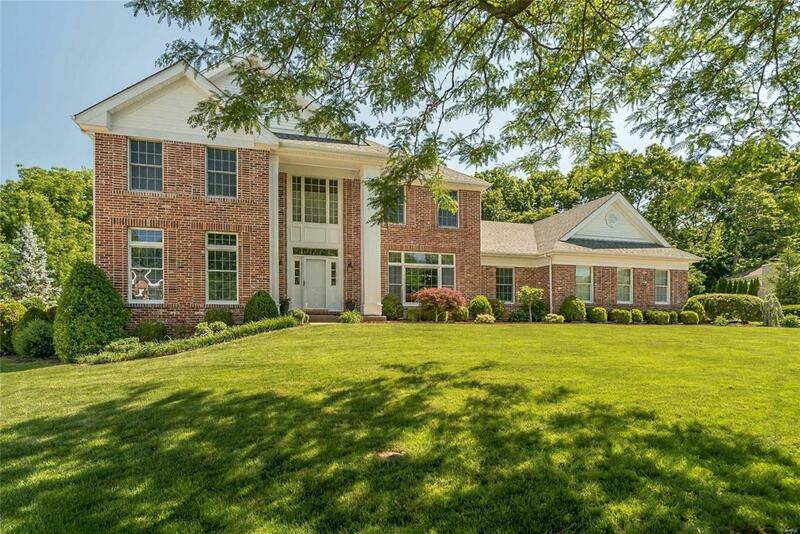 Stately brick 2 Sty in premier neighborhood! Classic center hall floor plan features extensive millwork, custom built-ins, newer windows & hardwood flooring throughout main living area. 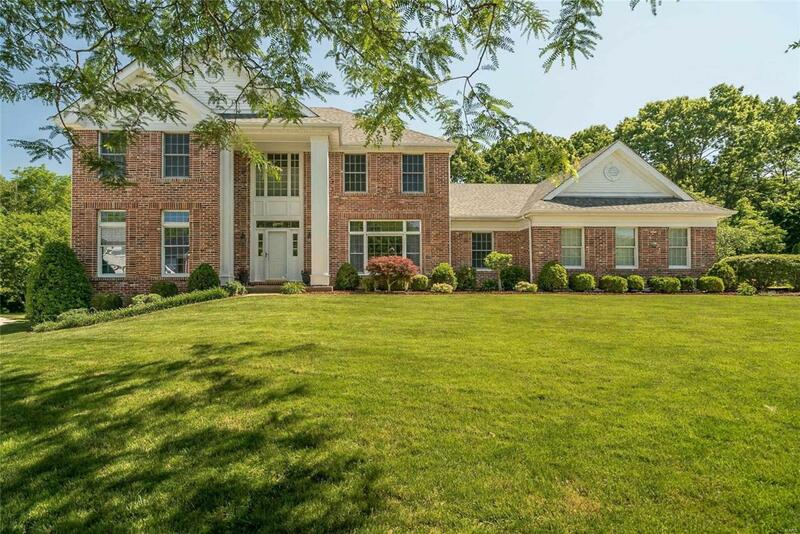 Impressive entry foyer leads to formal living & dining rms & spacious family rm w/wet bar, floor-to-ceiling brick fpl flanked by built-in bookcases & wide bay window overlooks pool & tree-lined backyard. Designer kitchen w/42 cherry cabinetry, granite countertops, stainless steel appliances, center island & butlers pantry adjoins light-filled breakfast rm w/convenient planning center. 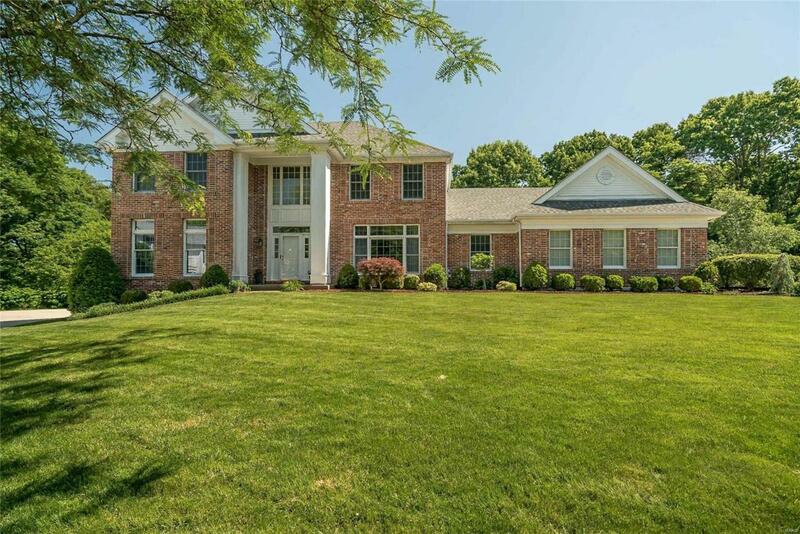 T-staircase accesses coffered master bedrm suite w/huge walk-in closet & luxury bath plus 3 generous-sized additional bedrms, 2 with Jack n Jill bath, & hall full bath. Lower Level entertainment space includes recreation rm with fpl & wet bar, game rm, office, workout rm & full bath. 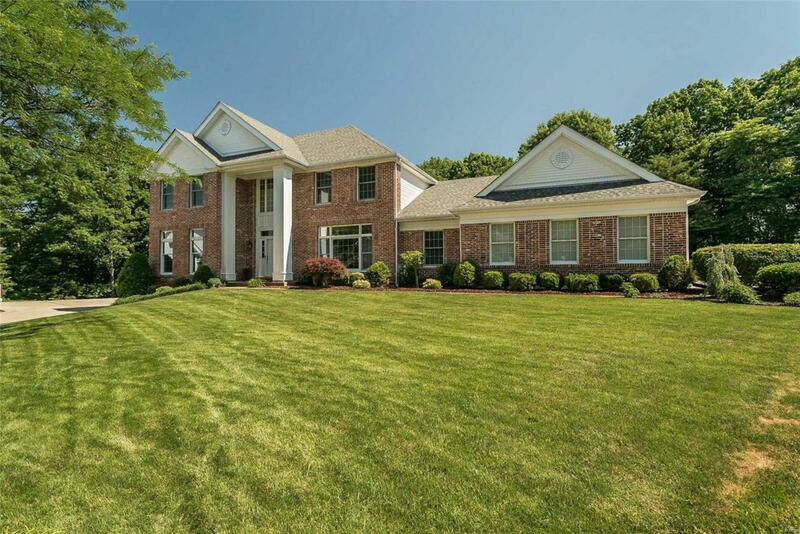 Situated on a premium -acre cul-de-sac lot backing to woods with patio, pool & 3-car garage. Total living area is 4147 sq ft per owner.